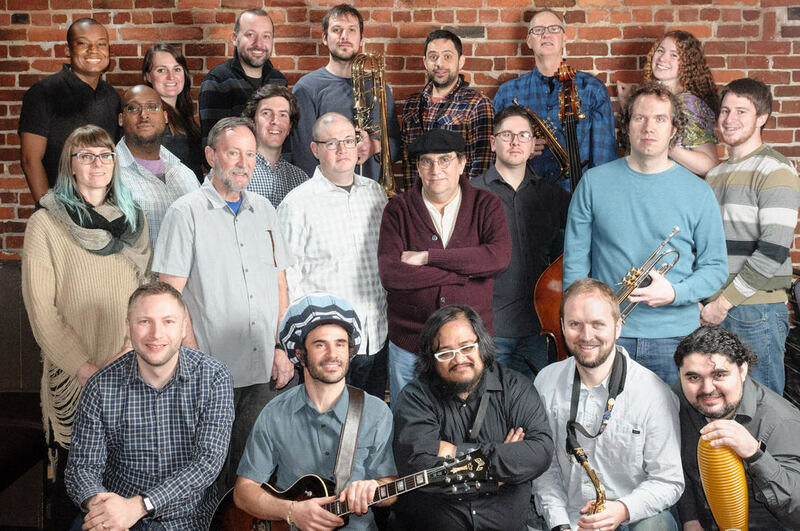 Jazz Underground is a Seattle-based ensemble that plays contemporary big band jazz. Their repertoire includes a wide variety music from the libraries of Count Basie, Buddy Rich, Snarky Puppy, Stan Kenton, Blood, Sweat and Tears, and Charles Mingus, as well as music by jazz greats like John Coltrane, Miles Davis, Thelonious Monk, and Charlie Parker. In addition, the group performs music by local composers and arrangers, including original tunes by members of the band. Jazz Underground performs regularly at Seattle's Royal Room, and has presented performances at the Moore Theater in Seattle, Tula's Restaurant and Jazz Club, Northwest Folklife Festival, Third Place Commons, the Columbia City Theater, Shoreline Community College, the historic Lincoln Theater in Mount Vernon, Seattle's University District Street Fair, the Taste of Tacoma, Crossroads Bellevue, the Jackson Jazz Walk at Ernestine Anderson Place, Hiawatha Lofts, Port of Anacortes, Mill Creek Town Center, West Seattle Summer Fest, Westport Ole Fashioned 4th of July, Highway 99 Blues Club and on local radio. The band also makes numerous school and community appearances every year.